From the internationally bestselling author of Nefertiti and Cleopatra’s Daughter comes the breathtaking story of Queen Lakshmi—India’s Joan of Arc—who against all odds defied the mighty British invasion to defend her beloved kingdom. When the British Empire sets its sights on India in the mid-nineteenth century, it expects a quick and easy conquest. India is fractured and divided into kingdoms, each independent and wary of one another, seemingly no match for the might of the English. But when they arrive in the Kingdom of Jhansi, the British army is met with a surprising challenge. Instead of surrendering, Queen Lakshmi raises two armies—one male and one female—and rides into battle, determined to protect her country and her people. Although her soldiers may not appear at first to be formidable against superior British weaponry and training, Lakshmi refuses to back down from the empire determined to take away the land she loves. 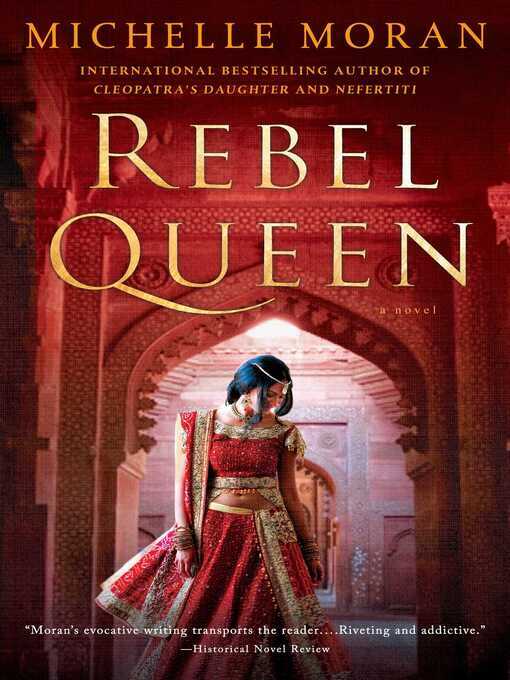 Told from the unexpected perspective of Sita—Queen Lakshmi’s most favored companion and most trusted soldier in the all-female army—Rebel Queen shines a light on a time and place rarely explored in historical fiction. In the tradition of her bestselling novel, Nefertiti, and through her strong, independent heroines fighting to make their way in a male dominated world, Michelle Moran brings nineteenth-century India to rich, vibrant life.